On November 20, Bufflehead duck #18-3068 was admitted from Louisa County. The duck was found on the side of the road near a pond, unable to fly. During the initial exam, the duck was weak and had difficulty holding up her head. The natural waterproofing of her feathers was compromised, indicating that she had possibly been out of the water for a short period of time. Despite a thorough physical examination, radiographs, and blood work, a clear diagnosis for the duck’s neurologic symptoms could not be identified; all results appeared to be relatively within normal limits. On the morning of November 26, staff at Peninsula Memorial Park in Newport News reported seeing a Bald Eagle on the ground, unable to fly. Local permitted rehabilitators responded, and with the assistance of staff, located the bird in a wooded area of the memorial park. The eagle was quickly caught. A field exam revealed a broken left humerus with along with swelling in the left shoulder and mild dehydration. 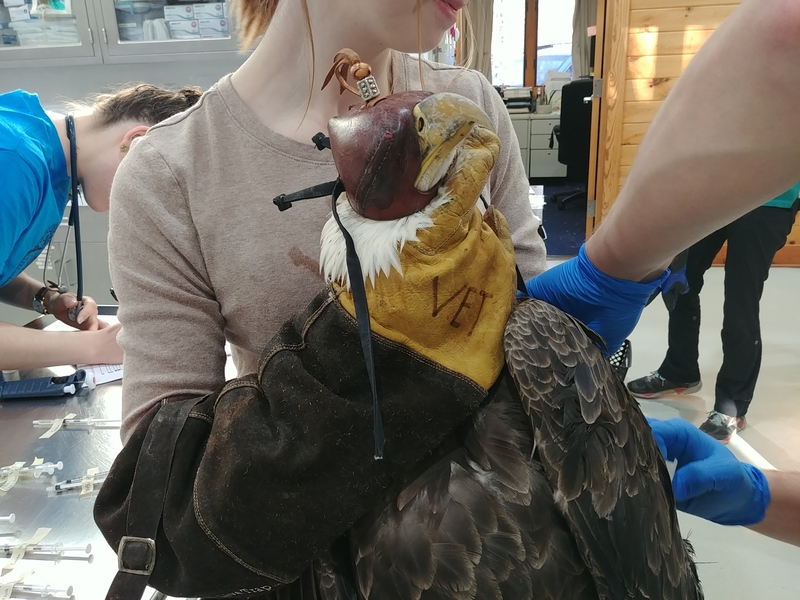 The bird’s wing was wrapped and a small amount of oral fluids were provided prior to the eagle being transported the Wildlife Center for further care. On September 25, the Wildlife Center admitted a Canada Goose from Powhatan County. Richmond Animal Care & Control picked up the goose after it was attacked by a dog. Dr. Peach, the Center’s veterinary fellow, examined the goose when it arrived. The bird was thin and dehydrated but didn’t have any obvious wounds or fractures. Blood work revealed a slight anemia, but was otherwise within normal limits. On September 13, a roofing crew spotted an adult Canada Goose on the roof of Petco in Staunton. The goose was quiet and not moving much; it appeared as though the goose had been on the roof for a significant period of time and could not get down. Staunton Animal Control Officers responded to the scene and called the Staunton Fire Department; rescuers were able to use a bucket truck to retrieve the distressed goose. On October 19, a Great Horned Owl was admitted to the Wildlife Center from Bedford County, Virginia. The owl was initially found by the side of the road on October 5 and was taken to a local veterinary clinic. 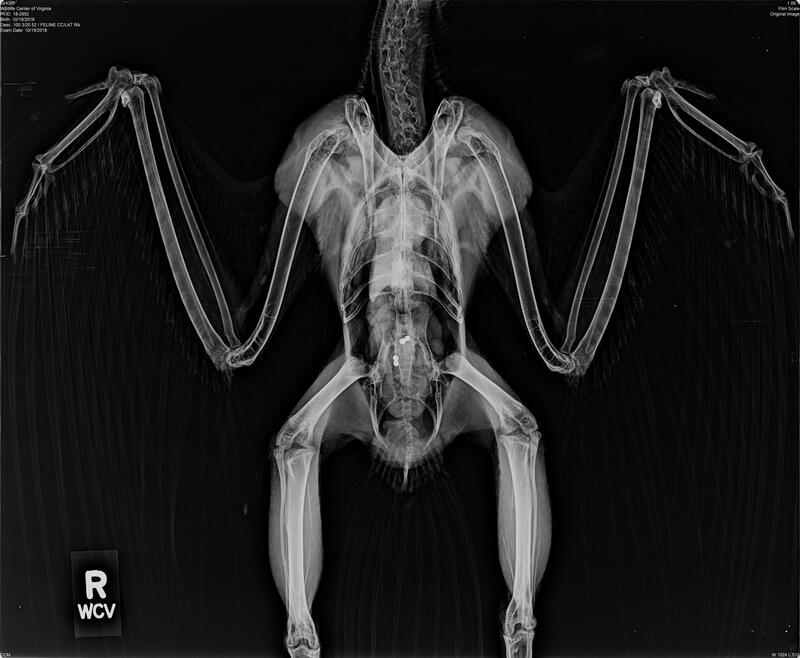 The owl was given medication and was fed venison and rabbit for about 12 days before it was transferred to a local permitted wildlife rehabilitator. 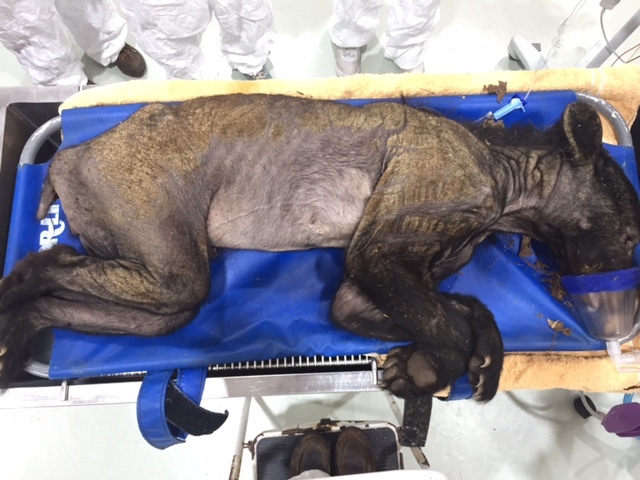 On August 1, an adult female Black Bear was trapped in Rappahannock County; the bear had severe signs of mange, including significant hair loss. The bear was transported to the Center and sedated for an examination with Drs. Peach and Karra. On August 20, Great Horned Owl #18-2502 was admitted from Bath County, Virginia; the circumstances around the owl’s rescue were not clear, but the bird presented weak and malodorous with damp and tattered feathers. The owl was also dull and in poor body condition; it had likely been suffering from an illness or injury that hindered its ability to hunt and capture food. On August 14, a private citizen in Westmoreland County noticed a Bald Eagle grounded on a rocky area of the Potomac River with what appeared to be an injured wing, possibly the result of a fight with another eagle. 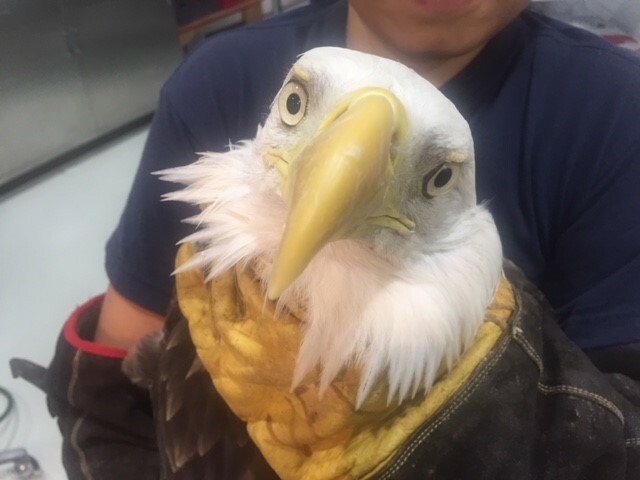 The eagle was captured that day, and was transported to Wild Bunch Wildlife Rehabilitation. Wildlife rehabilitator Diana O’Connor transferred the eagle to the Wildlife Center the following afternoon. On April 23, a young Great Horned Owl was found down on the ground in Isle of Wight County, Virginia. The bird was taken to a permitted wildlife rehabilitator, who transferred the young owl to the Wildlife Center of Virginia on April 28.